B-A-B-Y Acronym card to welcome the new baby. Since the baby's gender was unknown, bright aqua and yellow was the perfect color combination. Designed by Grace Baxter. When the gender of the expected baby is unknown, colours to use in a card are somewhat limited. For this one I chose aqua, yellow and white. 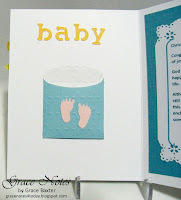 The card size is a little different, at 5" x 6-1/2"
I wanted something a little different, yet still babyish. I decided to use the sweet little blocks that are on the New Arrival cartridge. But what else? Spelling out the word “baby” and placing the blocks this way and that gave me the idea to do an acronym for the letters. I completed the words on the computer, creating a small table in order to get the spacing correct. This part was fiddly. You could use any words you wish that start with b-a-b-y. Or, if you know the baby's name, make blocks of each of those letters. I will be enclosing a gift card, so I made a small envelope and sized it to perfectly fit a gift card. 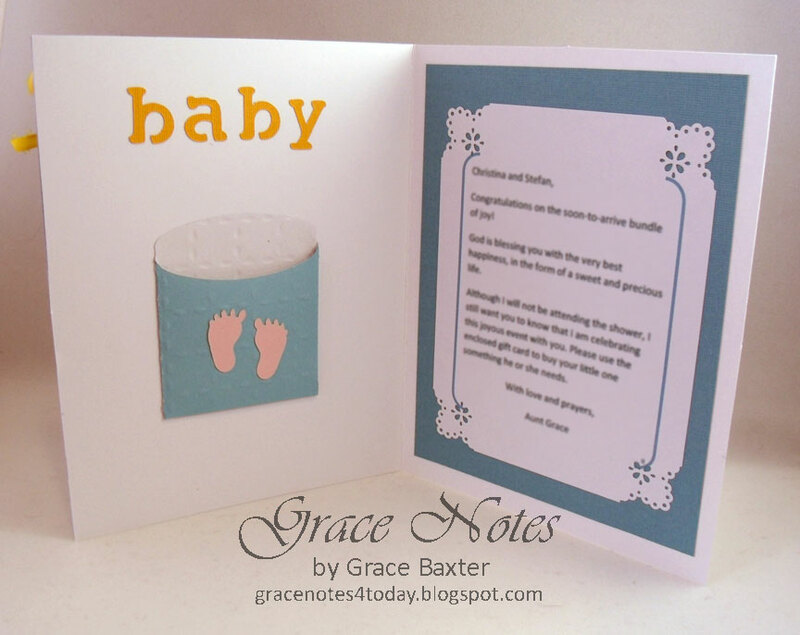 The cut out letters spelling 'baby' were from the cut blocks on the front of the card. The inside right panel is matted with the same aqua CS as on the front. I prepared a personal message on the computer, then cut it down to show a good amount of the mat. The corners were punched with the MS lace corner punch. Hi, Grace. This is Stephanie from the old MB. I remember you, glad to get your email. When the MB changed I lost touch with so many designers. I miss the old one. I'm a new follower. 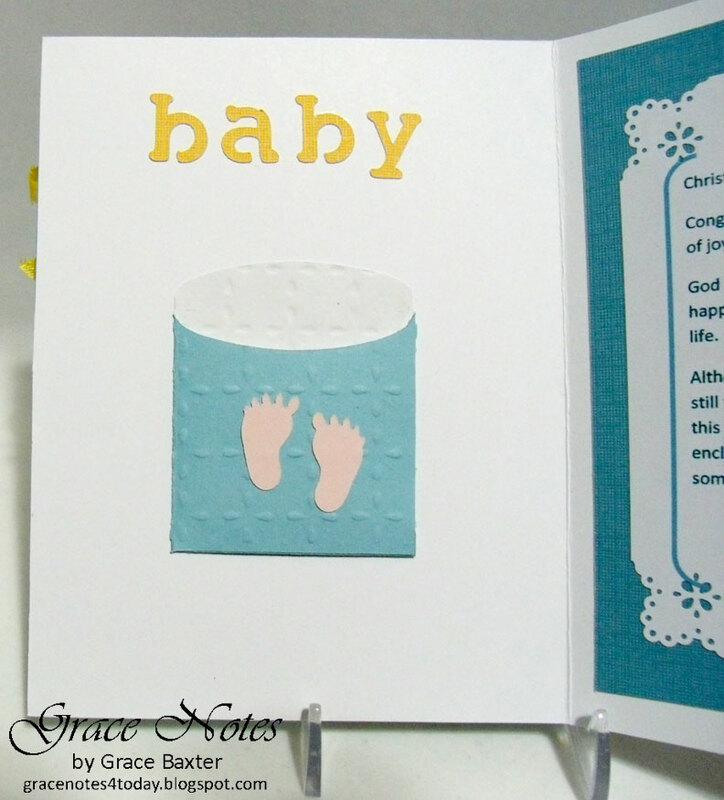 Love the baby card and the rest of them too. Glad to hear from you. Thanks for stopping by.